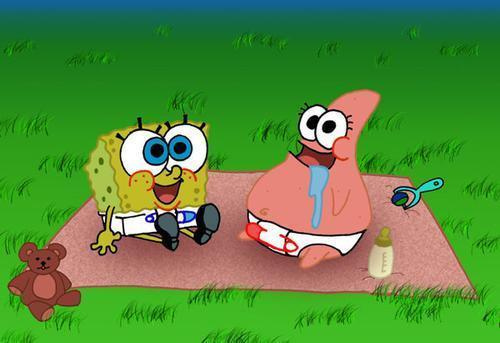 Baby spongebob and patrick. . Wallpaper and background images in the Spongebob Squarepants club. AWWWWWWWWWWWWWWWWWWWWWWWWWWWWWWW!!! So FREAKING cute! I stared at it for 2 minutes without blinking!!! WHOS A HAPPY LIL' BABY?! WHOS A HAPPY LIL' BABY?! YOU!!! !